Still celebrating Mid-summer and all things faerie this week. What better than to talk about the faerie witch for this weeks' Class Struggles. The faerie witch is one of the easiest witches to use in a game because they most often fit the stereotype of the lone witch living in the woods. It is a pervasive and well-established archetype of the witch. The earliest witch classes did not split the class into traditions or covens, that is something that came later on, so it is hard to judge the merits of those classes as a faerie witch. Certainly the Compleat Spellcaster Witch and the Dragon magazine witches had spells that would have made it possible to make a faerie witch, they were not overtly so. The faerie witch was one of the first "Traditions" I ever wrote for the witch class along with the "Craft of the Wise", "Malefic" and "Tempenstarii" witches. If you want a rough idea of what I was doing have a look at my Castles & Crusades version of the witch that included the faerie tradition. There is a real-life witchcraft tradition known as "Fairy Wicca", but it would be a lie to say that is where this all came from for me. Sure I read up on it a lot later on, but it wasn't what I was looking for. This also me to the "Feri Tradition" as well. Looking back over my own notes over the last few days I can't tell where it came from originally except that I have a note on the back of a print out from my school's mainframe and the date on it is 1989. The note just lists the Craft of the Wise, Faerie, Malefic and Tempenstarii traditions. Later, in a different color ink, I added Amazon, Veneficia and Voodoo. But I know where those came from and that puts it closer to 1992. On a side note it was interesting to delve into these paper archives. I could see the progression of technology as I flipped the pages. Mainframe printouts on white and green paper, my Tandy printer, moving on to a color Panasonic dot-matrix printer and then to the first HP Ink-jet that was the version complete version of my witch class. 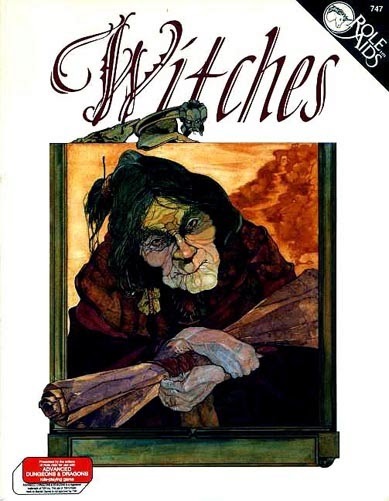 Around the same time, Mayfair rolled out it's Witches book by Nigel D. Findley for the Role-Aids line. This book was great and because of that I avoided it for years! It was published in 1990 and I saw it was doing something similar to me so I put it down. I was deep into writing then and did not want to have my own class influenced. I really didn't need to worry. The "traditions" (which is a common word used to describe different kinds of witches) in this book were set up very differently than what I did. In fact the relationship they had was more like Class and Sub-classes of the D&D 2nd edition type. Mine had different powers, this one had different spells. The spells really make it though and something I would like to try doing sometime. The Mayfiar Faerie Witches (not to be confused with these witches) were more of a guardian of the forrests and friend to animals type. Strong and fierce. They were more Angelina Jolie "Maleficent" than the original Disney one. My faerie witch appeared in my 2nd edition and 3rd edition netbooks. Their newest incarnations can be found in my "old school" books The Witch and Eldritch Witchery. It is notable here because it is one of the very few traditions to appear in both books. These witches have what I consider to be typical powers; summon familiars, talk to animals, lay devastating curses...you know the normal. But also something that I have added to other versions in the past, assume a fey shape. For evil faerie witches this would be a hag shape. I have even toyed with the idea that hags might not be a separate race at all, but rather transformed witches. The witches in Adventurer Conqueror King System's Player's Companion also are divided by tradition and features a "Fairy Tradition" known as a "Sylvan Witch". This tradition (and all the ACKS Witch traditions) have a collection of bonus spells and powers. I rather like these to be honest. It makes for an interesting middle point between my witches and the Mayfair witches. 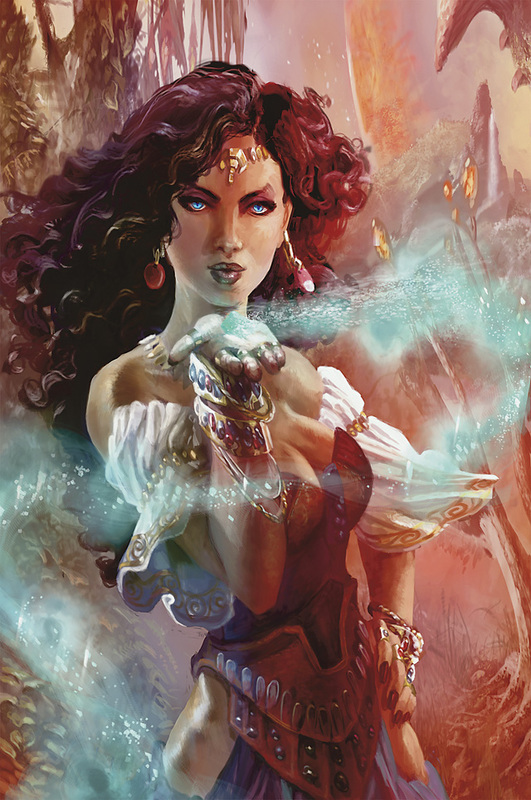 Dungeons & Dragons 4th edition actually had two pretty good "faerie" witches; the fey-pact Warlock introduced in the Player's Handbook and the witch sub-class in Heroes of the Feywild. The fey-pact warlock certainly represents the dealing with the powers of the fae in a darker, more sinister way. The witch of Heroes of the Feywild is really more of "Sub-class" of the wizard (something similar to 2nd ed with the witch kit) with a lot of powers and spells that give the witch flavor. On one level I didn't like this since the witch isn't really a type of wizard. But in reading it I can get past it since the witch is only a type of wizard "mechanically", she uses the same rules as a wizard and thus all the same powers, feats, magic items, Paragon Paths and Epic Destinies the wizard can use. In this respect it makes her more like what I have done in the past where wizards and witches are both a type of "magic-user". It gives the witch a lot of power to choose from. The witch has two builds or covens she can choose from, a Full Moon Coven and a Dark Moon Coven, or if you prefer a good witch and a bad witch. The covens have some powers associated with them, but the witch is still free to choose powers as she sees fit. Only Paragon Path is given, the Legendary Witch, and it focuses on the two covens. It lacks any strong thematic element, but this is a complaint I have had of the Paragon Paths of the post-Essentials line. The Epic Destiny, the Witch Queen, though is quite good. I had done something similar as a Prestige Class for 3.5. This one is different but there are some interesting powers and effects. What sets this witch apart from another Wizard or a Warlock are her spells and powers. The witch relies on her familiar to learn magic. 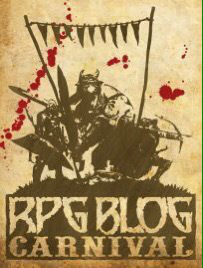 Something I have seen more and more of late in FRPG versions of the witch. Her magic has a distinct feel to it different than that of the warlock, even if there seems to be some overlap. Witches do get a minor healing power from the Full Moon Coven, and her magics in general are more subtle. She does not for example have a fireball like spell, but she can change monsters into other animals and they take damage for it. Heavy on the charms and transformations. Lots of powers with the Psychic key-word. Some are similar in theme to the Warlock; Horde of Puckish Sprites is not too different, save in level than Pixie War Band. There is something of an iconic character here in the witch Rowena (pictured above). I'd like to find out more about her and maybe stat her up. D&D 5 does not have a Faerie Witch or even a witch per se. It does have a Warlock that takes the best properties of the 3.5 and 4e warlocks and makes something that I can use. The warlock does have a Fae patron which has a lot of flavor to it. A Fae-Warlock taking the Pact of the Tome makes for a pretty good witch-like character for me to be honest. In fact, that is the character I am playing now in my D&D5 game and it is very witch-like in play. I am sure there are others out there. The archetype is just too pervasive not to be. Hope you are enjoying this Mid-Summer and Full Moon. Very witchy that. I would make a Faerie Witch archetype with some selected spells and feats. Eyebite would be a must. Something like misty-step from 4e.